Nobody likes taking tablets but nobody likes pain either. Is there a way that we can modify our diet to help reduce our back pain? According to a recent study by Cochrane, pain due to osteoarthritis, or ‘wear and tear’ can respond well to natural anti-inflammatories which we can incorporate into our diet. Some are a little less easy to find in the local supermarket than others, though. Also, since most of the foods studied are spices, some people experience upset stomachs after eating spicy food, which Alfeh (2010) showed is due to an anticholinergic action of the stomach. Here’s an article which looks at the benefit of choosing what we eat more carefully, in order to eat as many natural anti-inflammatories as possible and in so doing, reduce joint pains including backache. Elaine Hardman in 2014 wrote an interesting article in the Journal of nutrition research and practice, that summarised recent studies which linked diet with reducing issues including chronic inflammation, cancer and diabetes – it’s worth a read online. The NFkappa B pathway is highlighted, which is also studied in several other articles – it is important in regulating cell survival and protein form-ation in the body. Several industries have tried to find a way of controlling the ‘holy grail’ of inflammation by influencing the NF-휅B pathway, but in fact, in India exists the ancient art of holistic medicine using spices – a medical system called Ayurvedic medicine. Over 3000 years old, it’s one of the oldest forms of medicine in the world and recently, laboratories have explored the benefits of using spices used in Ayurvedic medicine to see how they can be used to treat specific diseases. While we may want to suffer less back pain and avoid cancer, we may not feel strongly enough to avoid chomping through a plate of steak and chips, nipping out for a Big Mac or nibbling on some spicy chicken wings. So, how can we reduce our back pain, avoid taking tablets and still enjoy our food? 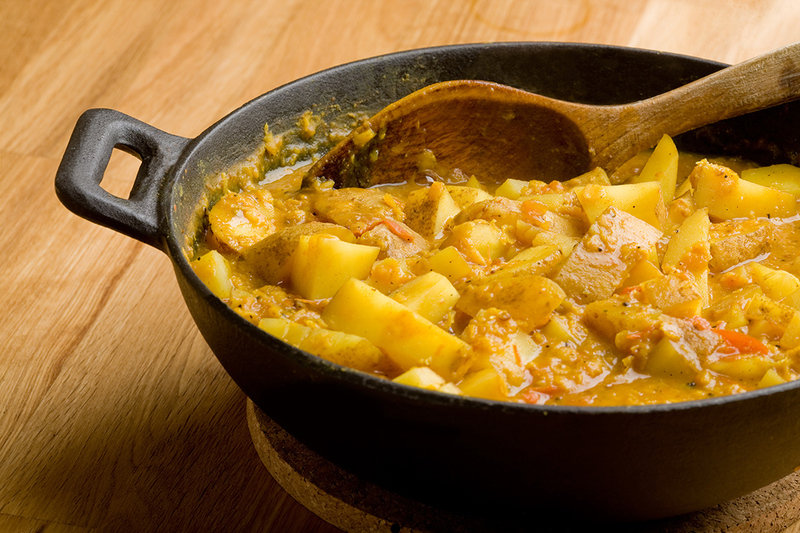 The answer seems to be in Britain’s favourite takeaway food – curry! The active anti-inflammatory component in turmeric is curcumin. Turmeric/curcumin has been used in India to treat a wide range of diseases over the centuries, and it has been shown in the laboratory to be a strong anti-inflammatory (Klawitter,2012). In 2017, Kunnumakkara reported in the British Journal of Pharmacology that turmeric is the new “golden nutraceutical”, with the ability to help many different chronic diseases ranging from Alzheimer’s disease to Ulcerative Colitis. 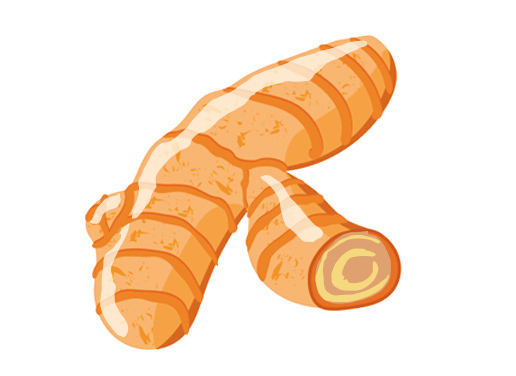 Turmeric is actually a member of the ginger family. 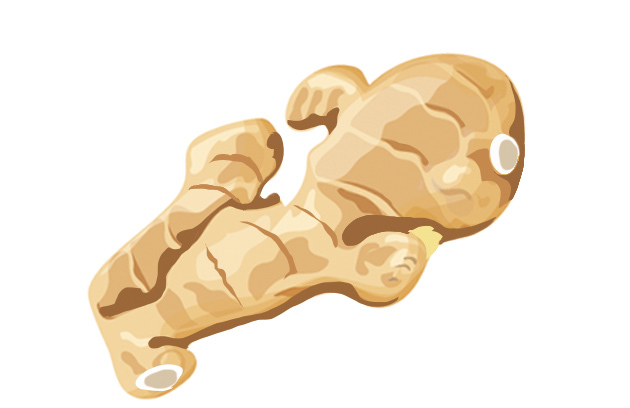 Ginger has been used to help nausea as well as abdominal cramps. Bartels (2015) looked at several studies which tested ginger for osteoarthritic pain and found some modest evidence to support its use. Dehghani (2018) showed that garlic reduced inflammatory chemicals which in turn, reduced pain in ladies with osteoarthritic knees when taken over three months. 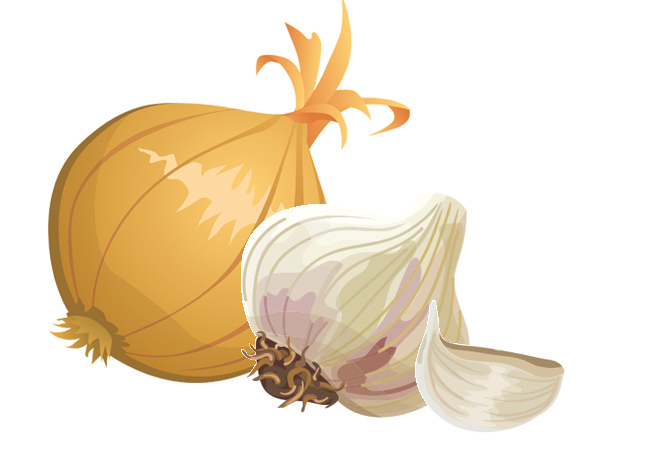 Onions, including onion peel, both reduce inflammation (Forney, 2018). A hot chilli pepper can cause blisters in your mouth and causing a burning sensation to all sensitive areas, including hands, mouth and the other end. So, does a hot curry sort of cancel itself out by containing all those useful anti-inflammatory spices, but also a big dose of burning chilli powder? 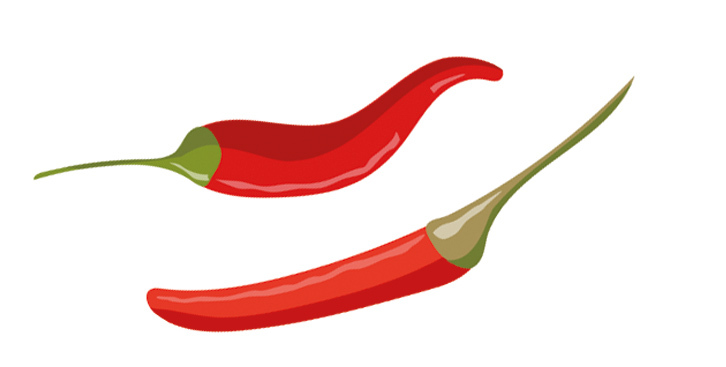 It seems that in fact, believe it or not, chilli powder is good for us. Chilli causes irritation but there is no evidence that it causes inflammation. In fact, a chilli preparation is prescribed as an ointment in the UK for treating joint pain. The irritant effect of chilli seems to go away with time as we grow tolerant to the spice. For example, Uragoda in 1967 studied people who ground dried chilli in factories and found that initially, they suffered with watering noses, coughs and sneezes, but this then subsided as they grew tolerant to the chilli. They also lost weight, although this was not explained how this happened in the paper. Wei and colleagues in 2015 showed how cumin influenced the NF-kB pathway to reduce inflammation and Han, 2017, showed how cloves reduced inflammatory chemical production as well. 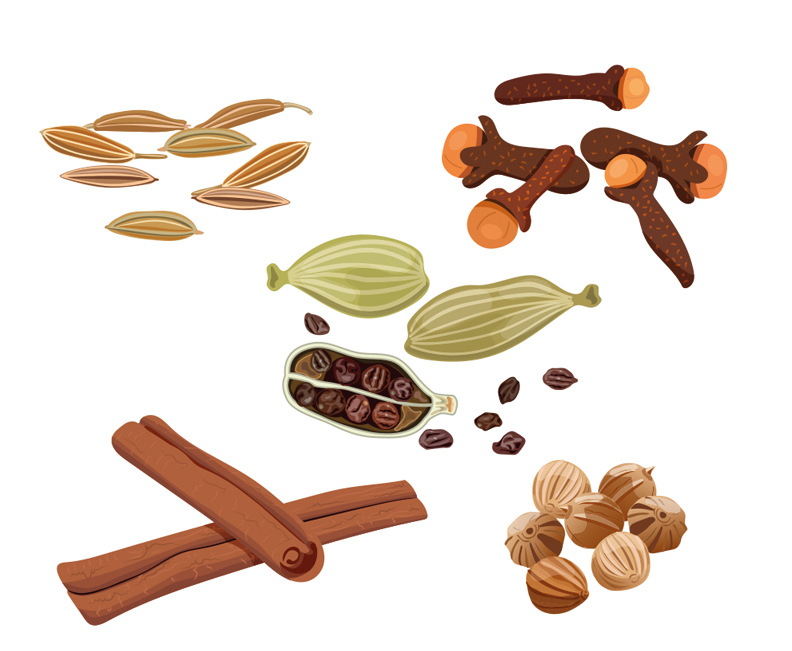 Kandikattu, 2017, showed that cardamom reduced inflammation in laboratory animals and Xu, 2018, also showed in laboratory animals how cinnamon reduced inflammation. Zhang in 2015 found that coriander, both raw and roasted, topped the growth of different cancer cells in a laboratory setting as well as funding anti-inflammatory properties. But, I don’t like curry! Some of you will cry. Worry not, there are still foods which can help to reduce your back pain. Glucosamine is found in our cartilage which lines our joints. There is a hypothesis that if we eat glucosamine, then somehow, we preserve our own glucosamine in our joints and help to slow down arthritis or reduce the pain of arthritis. Reginster in 2012 looked at the pooled data published about the benefit of glucosamine in the treatment of osteoarthritis and overall, actually found a positive benefit from this food source. Finding healthy sources of glucosamine to eat is not easy, however. 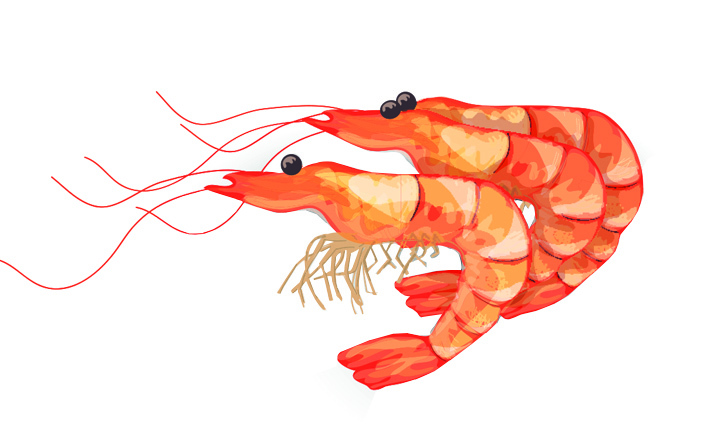 It is found in the exoskeletons of crustaceans, so we could eat shell-on prawns, or we could support the industry which grinds the shellfish shells into powder and sells us glucosamine tablets. But – we’re trying to avoid taking tablets, right? Did you know that we have readily-available glucosamine provided to us by friendly chickens? Ketta (2016), showed that chicken housing has an influence on the structure of the eggshell structure, basically with better quality eggshells produced by better-housed chickens. So, rather than spending all our hard-earned cash on prepared glucosamine tablets, maybe we should reach up to the higher egg shelves where the more expensive and better quality eggs are kept, so that we can eat glucosamine with our breakfast and support happier free-range/organic chickens at the same time. The only snag is that ideally, the egg membranes, which are rich in several nutrients apart from glucosamine, should be eaten raw, to avoid damaging the proteins by the cooking process. Both olives and olive oil are supposed to be beneficial for us, as it’s full of anti-oxidants as well as anti-inflammatory phenolic chemicals. 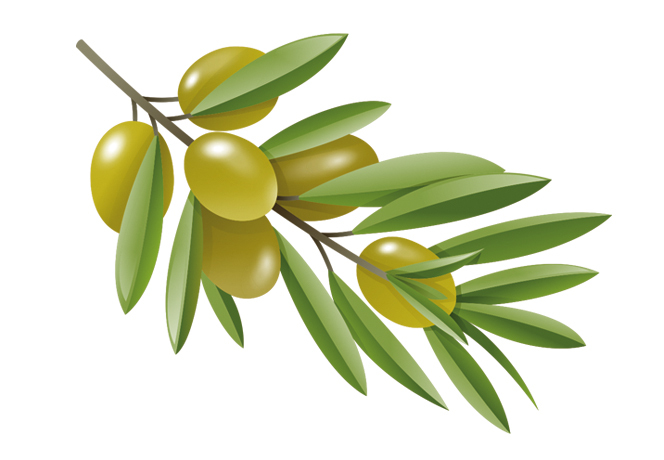 Oleocanthal, which is found in olives, is a strong anti-inflammatory and may also help to combat certain types of cancer as well as have a protective effect on the brain. Yes, it’s good for us! Shah in 2017 went as far as to show that dark chocolate could even be used to reduce the risk of developing diabetes. 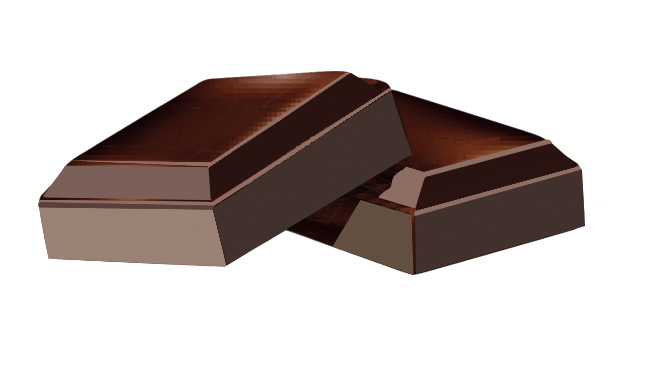 The issue with chocolate is the high sugar content to reduce the bitter taste of the cocoa bean. Cocoa is a superfood which is high in a number of different nutrients as well as being one of the most packed full of flavanols, which are not only anti-infammatory, but they enhance our mental ability (Decroix, 2016). Decroix explains that exercise improves our cognitive function, ie we think better, but flavanols appear to achieve the same thing. So, when considering a brisk walk in our wonderful Welsh weather to help improve our mental ability, you may want to swap the trainers for a slab of dark chocolate, which is low in sugar and high in yummy flavanols. I guess the hike in the hills would always come in handy when the weighing scales suggest that we need to slow down on our healthy eating binge, though. So, in summary, we should all eat lots of curry, but if the chilli is too much for our digestive tracts, then high cocoa-content dark chocolate should be on the daily menu instead, in order to eat our back pain away.